Collins Booksellers - Animal Parasites by Heinz Mehlhorn, 9783319464039. Buy this book online. This textbook focuses on the most important parasites affecting dogs, cats, ruminants, horses, pigs, rabbits, rodents, birds, fishes, reptiles and bees. 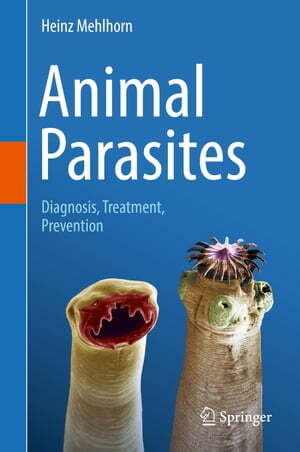 For each parasite, the book offers a concise summary including its distribution, epidemiology, lifecycle, morphology, clinical manifestations, diagnosis, prophylaxis and therapeutic measures. Numerous informative tables and more than 500 color micrographs and schemes present the most important aspects of the parasites, their induced diseases and the latest information on suitable prevention and control measures. 100 questions at the end of the book offer readers the chance to test their comprehension. The book is well suited as both a textbook and a reference guide for veterinarians, students of the veterinary and life sciences, veterinarian nurses, laboratory staff, and pet and livestock owners.